I know a lot of you have kids with nut allergies. So I thought I would make a no bake nut free cookie for you. These are perfect to take to schools that have a nut free policy. 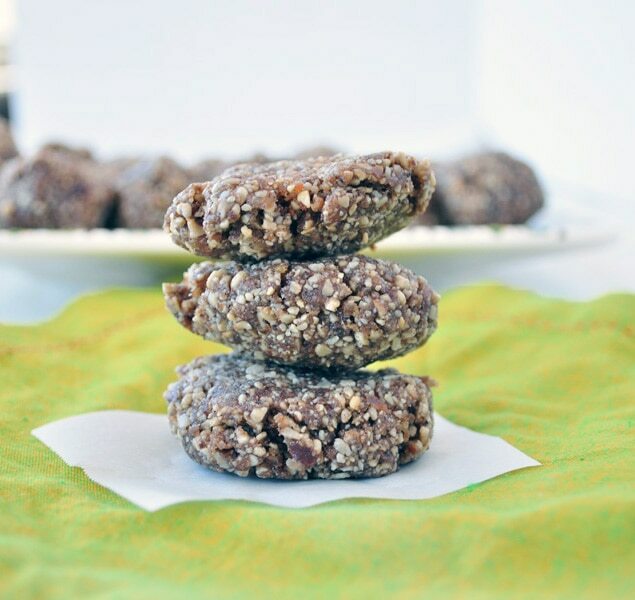 These nut free cookies only take minutes to make and taste super good. I made them with sunflower seeds. 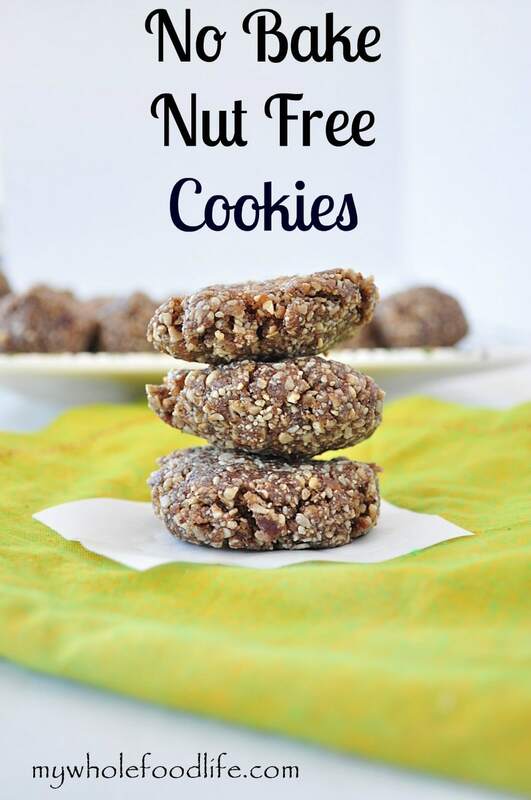 You can use this nut free cookie recipe as a base and add in whatever extra flavors you may like. These cookies are not only nut free, but they are gluten free as well. In a food processor , combine the sunflower seeds and oats and blend into a course consistency. Add in the remaining ingredients and mix until a dough starts to form. Roll the dough into balls and set them on a parchment lined baking sheet . Stick them in the fridge to firm up. About 30 minutes. I have roasted sun flower seeds. Will that work? They are salted so I would leave the salt out of the recipe. You are so welcome! I hope you enjoy these as much as we did! Hi. I ve seen all your cookie/ bars recipes comprise steel rolled oats. Can you please tell me whether the oats need to be pre cooked in water first ? I intend to give these to my 1.5 year old daughter . Thanks! The oats do not need to be cooked first. Yes they can. Regular dates are smaller, so you will need to use a few more. Awesome! I hope he enjoys them! I made these tonight...they are yummy! do you have nutritional info on these? I am not sure if honey or maple syrup alone will work, but you can try. The dates also help bind the cookies. How about using apricots?